Professional fire safety solution providers will soon have authority to issue their clients with National Security Inspectorate (NSI)/BAFE Certificates of Compliance much like an ‘MOT’ to show that all kitchen fire protection systems are fit for purpose. 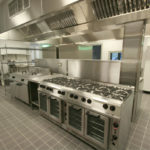 Commercial kitchens are hazardous environments. Fire industry/insurance data reported by BAFE – the UK’s independent register of quality fire safety service providers – reveals that food and drink-related fires are statistically the third most likely cause of large fires, with restaurant and café fires specifically accounting for 42% of all fires within this sector. 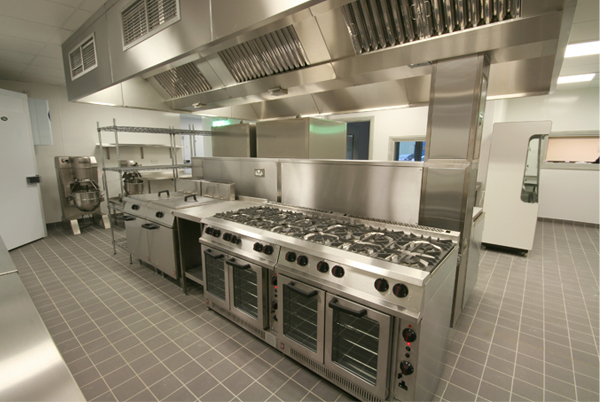 For their part, insurers are particularly concerned about fires in commercial kitchens as the risk to life can be significant and the consequential losses substantial. Unextinguished fires can be devastating for business continuity, building integrity and peoples’ lives. BAFE’s response is the Kitchen Fire Protection Systems Scheme (SP206) which provides those end users responsible for kitchen fire safety with a high level of assurance in the ongoing effectiveness of their fire protection systems. Certificates of Compliance will be issued by NSI ‘Approved Installers’ at the time of system maintenance as well as at initial installation. Certificates will be a valuable piece of documentation available to both insurers and relevant authorities as evidence of systems’ compliance and users’ obligations under national fire safety legislation. ‘Approved Installers’ will be required to demonstrate competency in the design, installation, commissioning, recharging and maintenance of their systems in regular NSI audits, in addition to being authorised by equipment manufacturers. The first NSI approvals for the scheme are expected in the first quarter of 2019.